He�fs misanthropic, cynical, narcissistic, antagonistic, pseudo-egotistical and the best doctor you will ever see; Dr. Keiichiro Kishi. 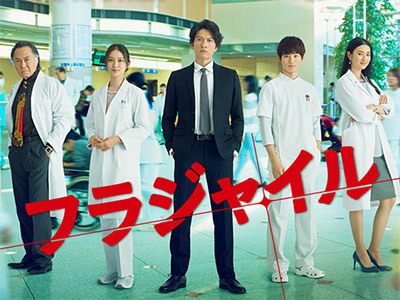 Based on the original manga series by Bin Kusamizu (story) and Saburo Megumi (art), "FRAGILE" follows the story of Keiichiro Kishi, a dashingly handsome pathologist who is intensely eccentric and brutally honest, but also holds one of the most brilliant minds. A pathologist is a physician whose job is to determine a diagnosis of disease or cause of death based on an assortment of data, including a patient's tissue, bodily fluids, organ samples, blood, etc.